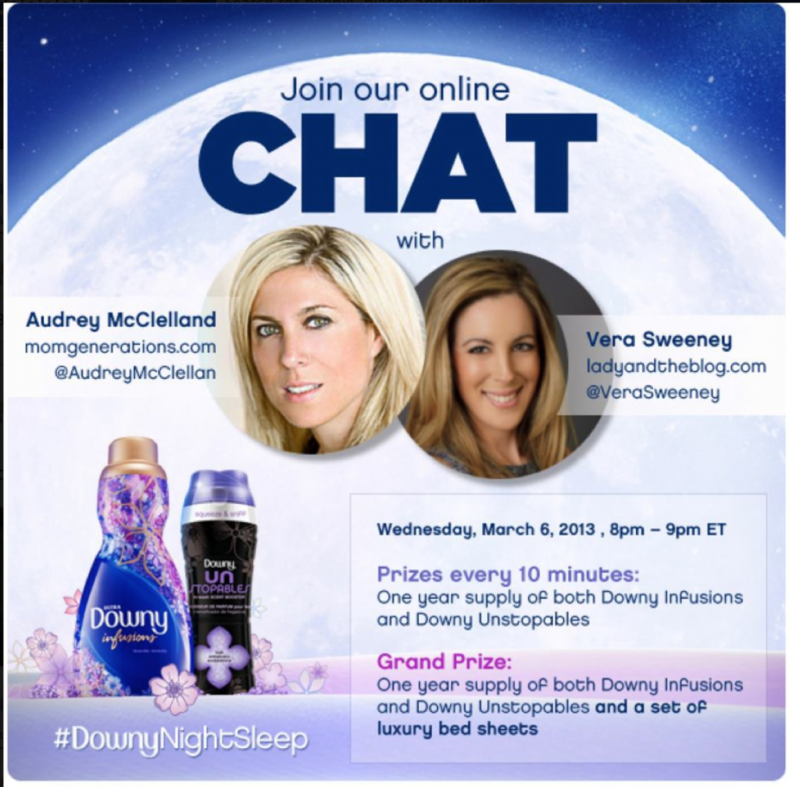 As promised from Wednesday night, I’m announcing the GRAND PRIZE winners today from our Downy Twitter Party!! YOU WON One year supplies of both Downy Infusions Lavender Serenity and Downy Unstopables Lush AND a set of luxury sheets! Thank you so much, I am thrilled beyond measure!